Albert Rodriguez has been promoted to director of pump stations and pipelines for water. He succeeds John Plattsmier who is retiring. 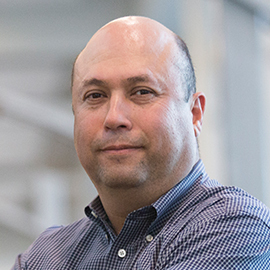 In his new position, Rodriguez will lead the company-wide development and growth of HDR’s pump stations and pipelines group. He will continue building upon HDR’s technical expertise, design standards and quality control program. Based in HDR’s San Antonio, Texas, office, Rodriguez has been working with HDR’s PSP group for more than 17 years, assisting with national projects and pursuits, and had been serving as assistant director. Over the past 30 years Rodriguez has been involved in the planning and design of water, wastewater and stormwater projects. He has worked on C-44’s pump station for the Everglades Restoration Project, Able Pump Station for the City of Dallas, Onion Creek Interceptor Repair, and numerous other projects involving pipelines, pump stations and treatment facilities. A registered professional engineer in five states, Rodriguez holds bachelor degrees in civil engineering and economics from Texas A&M. “Albert has been a great resource, confidant, and source of knowledge, helping me since my first days at HDR. His approach to project delivery, problem solving, and working with people will allow him to be a very effective director,” said Plattsmier, who has been with HDR for ­­­­­–nearly 12 years and plans to retire in 2019.